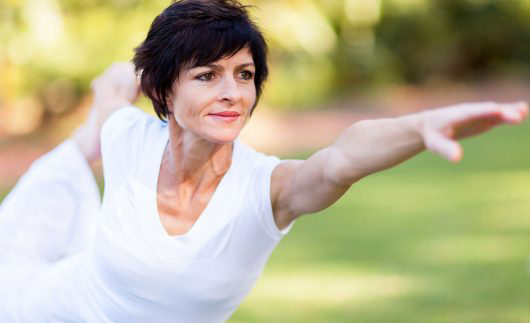 For those suffering from hormonal imbalances, the Sadhna Center offers personalized Bio-Identical Hormone Therapy to help combat the signs and symptoms of aging. Due to environmental and dietary toxins, as well as the natural process of aging, hormone production declines with age. This decrease leads to hormonal imbalance, which is linked to age-related issues as well as certain disorders. Noticeable effects are often seen by people in their 40s, and occasionally even those in their 30s begin to experience the negative, unwanted signs of a hormonal imbalance. Traditional hormonal therapy has always used synthetic hormones to treat hormonal imbalance, but pharmaceutical drugs are not easy for the body to process. Additionally, research shows there is an increased risk of certain types of cancers and heart disease linked to the use of certain synthetic hormones. Bio-Identical Hormone Therapy is a natural alternative. Derived from natural sources, such as yams and soy, natural hormone therapy replicates the chemical structure of human hormones, so that these natural hormones act in the same way and are easily metabolized by the body. Bio-Identical Hormone Therapy, or BHRT, uses your specific chemical and biological makeup, along with naturally created hormones, to replace hormones and balance the body. Based on your specific hormonal needs, found through extensive lab testing of the saliva, urine, and/or blood and in-depth questionnaires, a personalized treatment plan will be developed. Instead of the general synthetic hormones that are used to treat a wide variety of aliments for a huge group of people, Bio-Identical Hormone Therapy is different for everyone and customized for your body and its needs. What Does Bio-Identical Hormone Therapy Treat? Is Bio-Identical Hormone Therapy for You? If you believe you may benefit from Bio-Identical Hormone Therapy or are ready to stop taking synthetic hormones, contact the Sadhna Center. By using natural hormones and a customized plan designed specifically for your needs, you’ll be on your way to hormonal balance without the risks associated with synthetics. Call (516)544-8899 today to learn more.